Starting GPS Co-ordinates: N51 20' 90" W001 05' 20"
Finishing GPS Co-ordinates: N51 19' 70" W001 06' 10"
We drove this unremarkable yet pleasant enough byway from its northern end. Leaving the A339 in the village of Herriard on a southerly track, an initial stretch of metalled UCR serves a number of cottages in the village itself. After roughly 400m, however, the BOAT begins and the prepared surface ends where a track crosses the lane. This track is not a public byway so please ignore it and move on. The surface here changes to compacted mud and gravel. The green lane passes through open fields for a stretch. On reaching Platt Copse where the surface again deteriorates into lightly rutted mud and the hedgerow that borders the lane to the east, and the woodland to the west, closes in a little, though never so much as to pose a real threat of putting scratches on the paintwork. It can get damp too, but never too much as the shallow downhill gradient of the byway seems to keep it well drained for the most part. 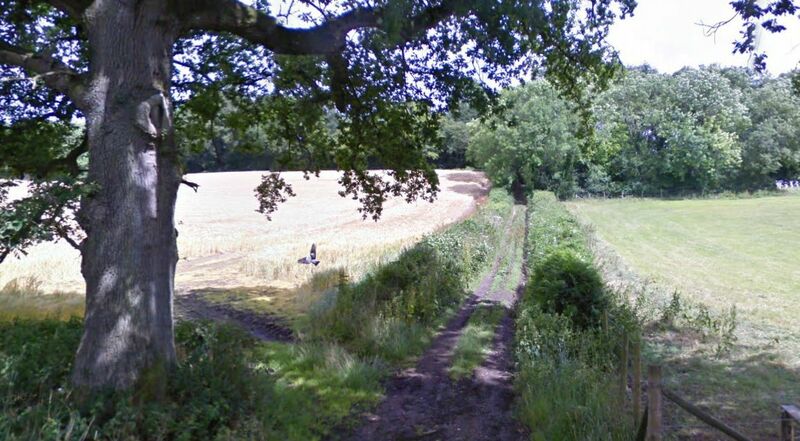 After a couple of twists and turns the track ends on Bagmore Lane by a large mature oak. Platt Copse is pleasant enough but there are better byways in the immediate area that deserve your attention before Scratchface Lane does! This is Hampshire County Council's Byway 5.